The producers of the play Stitching are taking the case to the European Court of Human Rights after they lost their appeal from a court judgment which had upheld a decision by the Stage and Film Classification Board to ban the production. The ban had caused uproar, sparking months of discussion. The play's producers, Unifaun, had claimed their freedom of expression was being denied but the court disagreed. 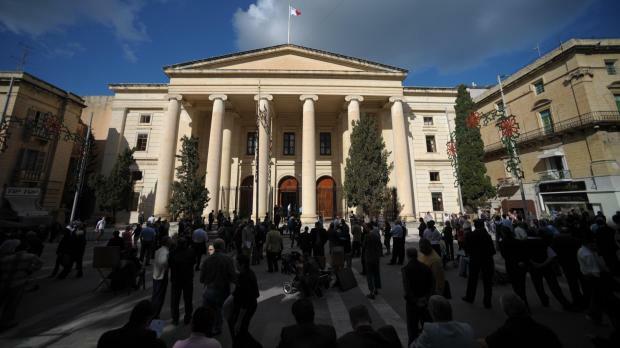 However, Maltese law has been changed since the case was instituted and the producers have promised to stage the play about a troubled young couple. The civil court had declared that blasphemy and vulgar language should not be tolerated in public, not even in plays. The controversial play, written by Scottish playwright Anthony Neilson, has been performed in several countries, often to critical acclaim. In a statement this afternoon, Unifaun Theatre said it was very disappointed, although, judging by the previous verdict, not totally surprised. “We believe that the judgement is severely flawed on several grounds. Worse yet it creates a dangerous precedent which creates a sword of Damocles over every artist's head. The group said it is shocked at the level of incomprehension shown by the court in understanding that a script was not a performance. “Malta is the only country in the world which has allowed a play to be banned without ever having seen a performance. Even in the worst period of the Communist Eastern Bloc or Fascist Spain, the censors and the court realised that they could only pass judgement on a production, not a script, if they saw the need to ban it. “We are equally shocked at the summary dismissal of all the testimony of our witnesses, people who actually saw the play, whilst accepting the totally false interpretation given by the defence. The court even decided what should or should not constitute a threat to society without explaining what that threat would be creating a dangerous precedent which threatened all artistic expression on the island. “The judiciary has become the country's arbiter of artistic taste, and this cannot be. “For this reason, and regrettably, we are going to have to take this to the European Court of Human Rights in Strasbourg as we believe that such a sentence cannot be allowed to stand," it said.